Alex Chilton’s voice is probably best-recognized for singing the Box Tops’ hit song, The Letter. But many more remember him for his work in seminal power-pop band Big Star. In 1987, the Replacements immortalized him in song, and in 1989 his album Black List was released. Black List contains one of my favorite songs of his, Guantanamerika. The week he died, I called Jake from Dead Scene Radio, and my good friend Darrin who had drummed in Lansing’s the Darts. I asked them if they would be interested in recording one of Chilton’s songs as a tribute to this singer who had such an impact on the music that we love. 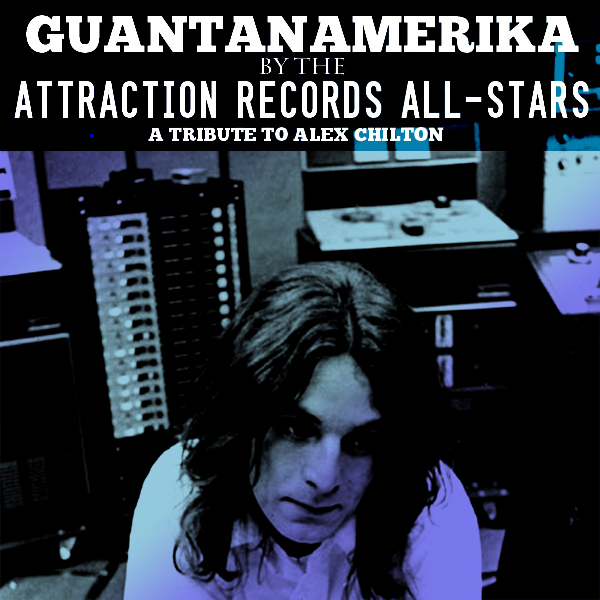 Recorded on March 22nd and 23rd, and mixed the following days, our version of Guantanamerika is our gesture of thanks to Alex Chilton, who’s singing, songwriting talent and sardonic wit are encapsulated so well in this song. Goodbye Alex. You are missed.